Sadie’s birthday is TOMORROW. Let me say that again. My baby is turning ONE whole year old tomorrow. Someone pinch me, I can’t believe it. Fastest year of my life, hands down. 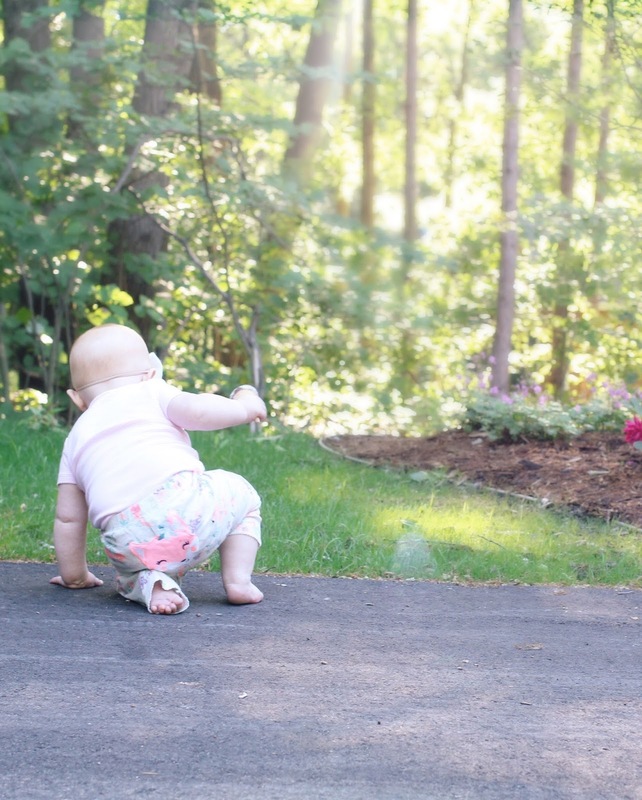 To celebrate her birthday week, Sadie and I had a mommy + baby play date! (Really, we have a play date basically every day…but this one was special because big brother was at school!) I love spending one on one time with my sweet girl and try my best to do it often. This girl is growing up so fast and can do something new each and every day. This week I left her alone for one minute so I could run to the bathroom….and when I came back out she was gone. Guess where she was? All the way upstairs in the playroom. Girlfriend climbed those stairs by herself and found some toys to play with. I couldn’t believe it! Needless to say, I put the baby gate up later that day, ha! Sadie lives to play. She could play non-stop all day every day, just like her big brother. She sure keeps me on my toes! 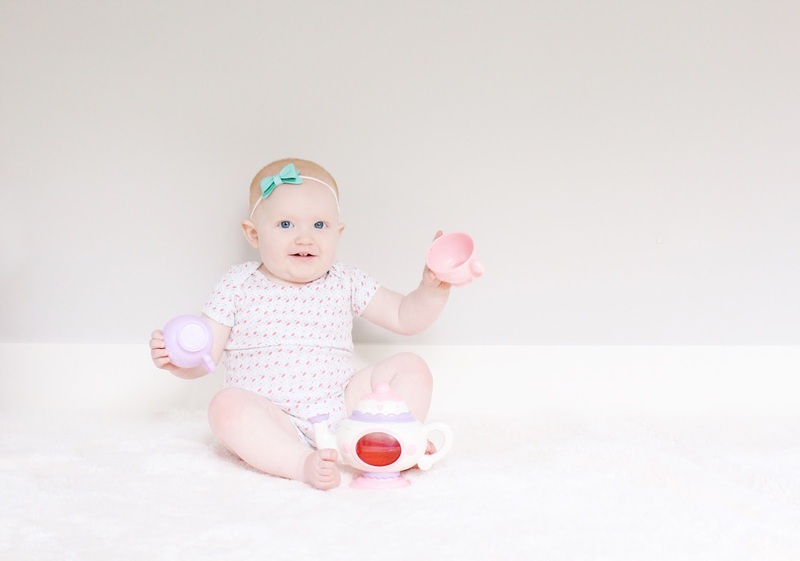 One of Sadie’s favorite toys to play with is her tea set. It makes me so happy to see her enjoying something I remember loving as a kid! I’ll happily drink fake tea all day long just to make her happy. Since Sadie is always on the go, I love to dress her in the most comfortable and soft clothes I can find. 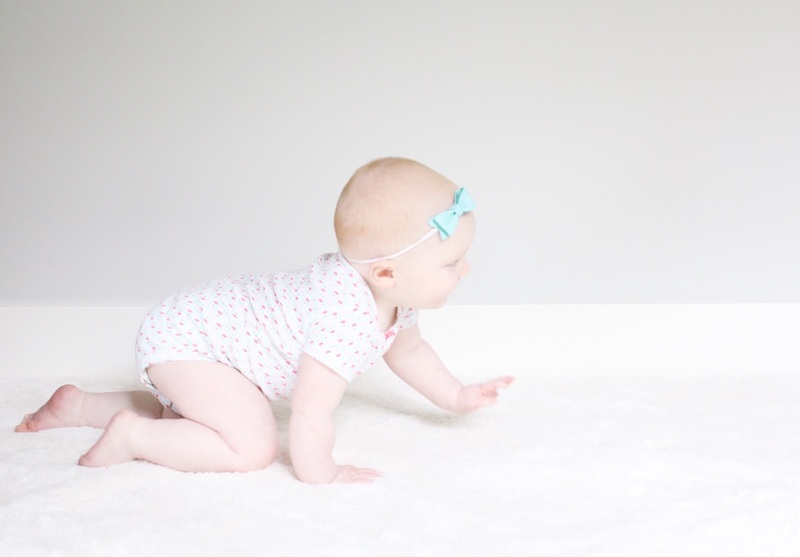 Every parent knows that Carter’s makes the best, sweetest, and softest baby clothes around! They are always my go-to for cute play clothes. Carter’s Little Baby Basics line is hands down my favorite for play clothes. Every single piece is soft and sweet. And I can’t get enough! I especially love that their pieces can be mixed and matched. I always carry at least one bodysuit and one pair of pants in my purse at all times. You never know when your baby will need a spare outfit. And thanks to Carter’s Sadie always looks cute! This busy girl would much rather play than take pictures. Aren’t those chubby thighs the cutest? I wish they looked that cute on me too. Sadie’s wardrobe is filled with the cutest clothes from Carter’s. They have the essentials for every occasion! 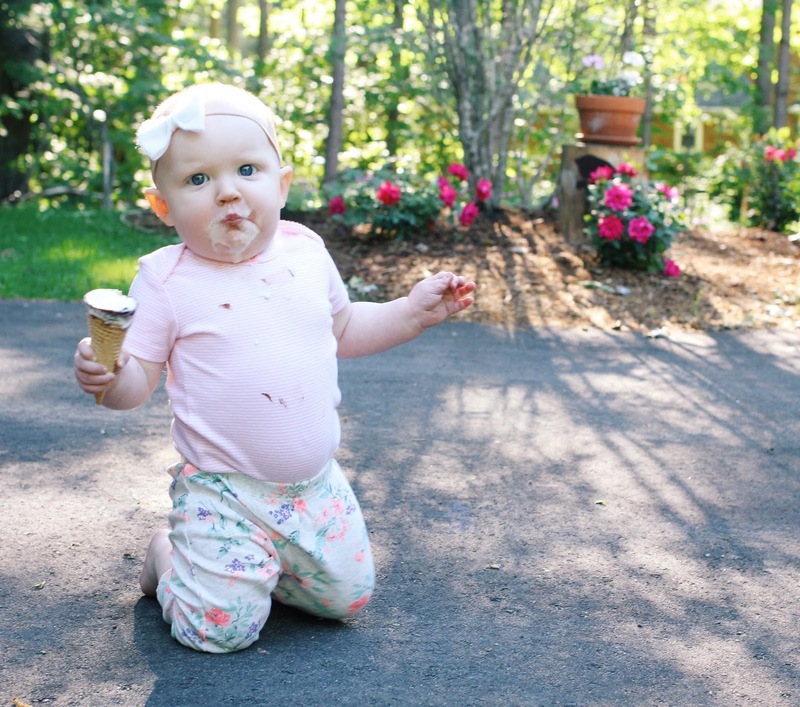 I’m obsessed with that little belly….it just screams feed me more ice cream! And I love that Carter’s clothing is super durable and washes really well….which is a must when you have a messy eater on your hands! 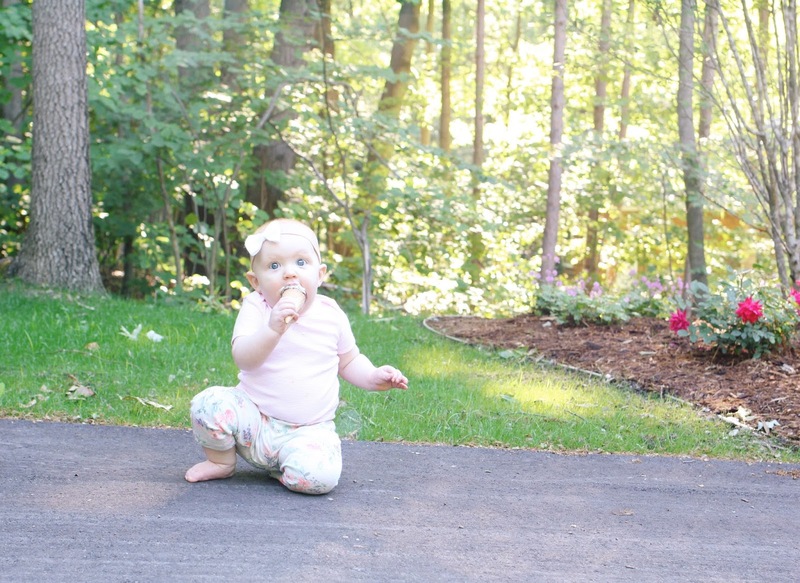 To finish off our mommy and baby time, Sadie and I had an ice cream date out in our yard. I’m so thankful for one on one time with this little lady. Girlfriend demolished that ice cream cone. She let me steal a few bites, but for the most part tackled that bad boy on her own. Like mama like daughter, I guess. Refusing to share any more of her ice cream. Stinker. 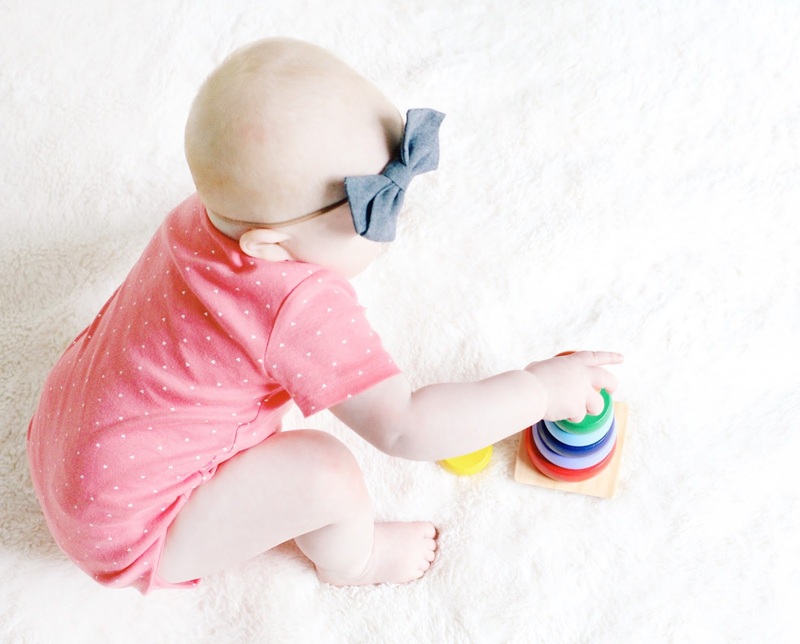 To celebrate Sadie turning ONE, I’ve teamed up with Carter’s to give one lucky reader a $100 Carter’s gift card! Yay! Enter below. Official giveaway rules here. 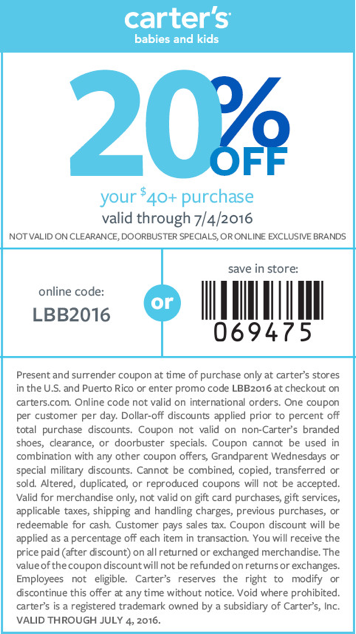 Click here to find a Carter’s store near you…and use this coupon for 20% off your order! With 3 kiddos, one on one time is hard. Sometimes it's just little snuggles or going out to push them on the swing. Happy Birthday Sadie! My twin boys will be turning 1 in September and I can't believe how fast it has gone by. I have 3 boys – a 5 year old & 3 year old twins. When the big one is at pre-school, Grandma takes one twin and I take the other so they each get one on one time. We usually run some errands and like to go on donut dates 🙂 My oldest gets one in one time when his brothers nap. He loves playing catch in the yard! I've only got one kiddo right now so one on one time is pretty easy but once there is another in the picture we will make sure to take time for separate mommy/daddy play dates so each get 1×1 attention! Carters is my favorite and they are absolutely killing it this season!!! Plus, they have a huge range of sizes so HELLO MATCHING! Sadie cracks me up on snapchat. She is so busy and I love it. The stairs story is hilarious and terrifying. Lastly, her birthday?! Wahh!!! I can't handle all these little ones turning ONE. It's too much! Love carters for my grandchildren!! I have 2 boys (3 yrs and 14 months) and Carters has always been a favorite of mine. The clothes are so cute and comfy!! Great giveaway! Carters is the best!! I just love their clothes for both my son and daughter! We go outside and play. I try to turn off the electronics and spend time with her. 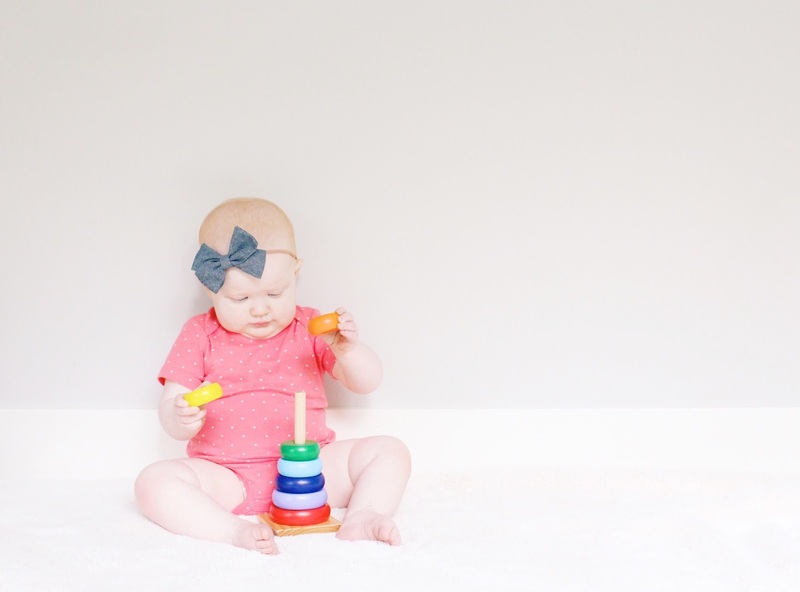 I only have one kiddo right now so it's all her all the time 🙂 Some of our favorite activities include going to the library, playing outside and singing Wheels on the Bus…on repeat! Happy 1st Birthday to little Miss Sadie! She has the best cheekies! With one on the way and two others 3 and under I could use this Carter's gift card. Thanks for the chance! I try to have one on one time with each of my kids whenever I can, even if our time is just spent at the grocery store or running errands. 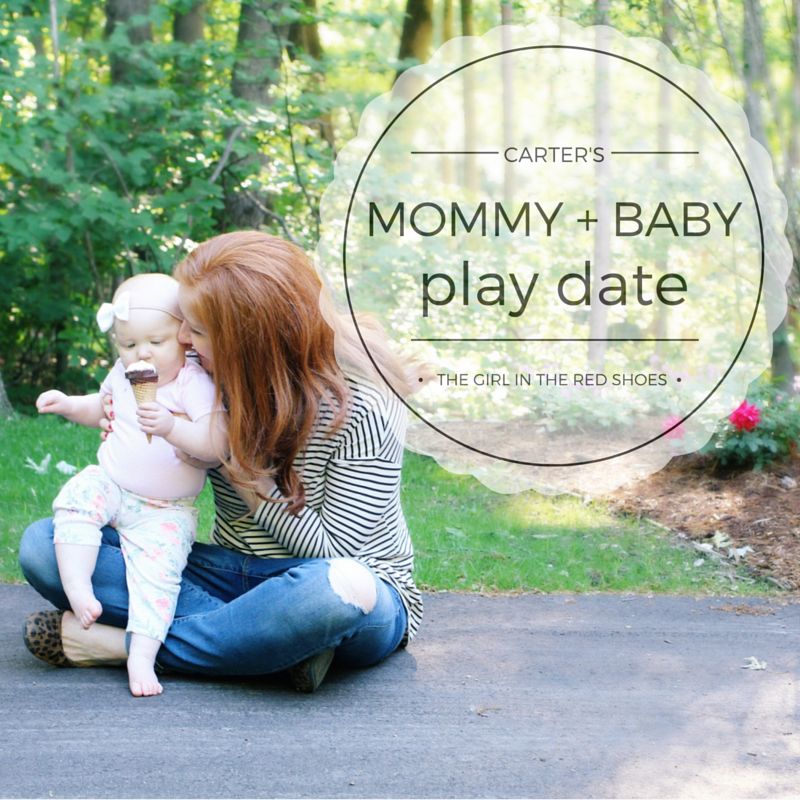 Carters is my go to for soft and comfy clothes for my babies! Evelyn's first year was even faster than Henrys! So many tears. Sending hugs!!! I've only got one but Lyla and I love our time together taking walks outside and also shopping. Daddy's in trouble with us shopaholics! On my son's birthday I took him shopping and let him pick out a toy while sister stayed home with Grandma. I even let him pick out a candy bar too! I try to spend one on one time with each of my kiddos while the other naps. My youngest still takes a morning nap so I get to play with my oldest then. Usually my youngest wakes up from his afternoon nap before the oldest one gets up, so we get to play together then. Happy birthday to your baby girl!! Happy Birthday Sadie! I can't believe she's going to be ONE! Happy Birthday! We love Carters, too! They are so adorable and great quality! My little one is the only child right now so she gets all the playtime! Nursing him makes sure we get plenty one on one time, even though he's a year old! I feel you pain/ joy about the first birthday! It was hard to believe it had been a whole year! 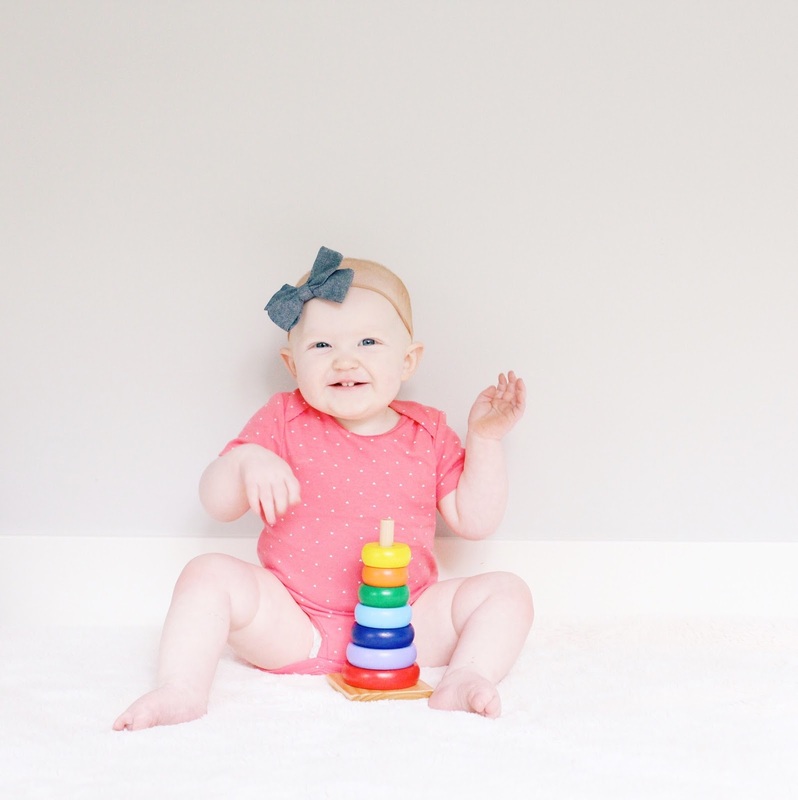 Love Carters and would love to win this for my sweet girl who will be TWO (ah!!) the 21st! We make one on one time whenever we can. Sometimes it's during breakfast and other times it is before bedtime. We like to read and I talk to them and there are lots of cuddles and kisses. Carter's is an amazing line with cute clothes and affordable prices. When my husband works weekends, my son and I have Mommy/Son Starbucks trips. He loves the cake pops and apple sauce, and i love that we get the special time together! Oh we have a weekly date at the wind turbine! He is so fascinated by it and we drive there and just watch it go around and around! So much fun! I get lots of one on one time with my youngest since I am still breastfeeding. I love stealing him away and having those moments. My oldest…we go on shopping trips together why baby brother naps. I make time with my oldest (almost 5) by playing together when the baby naps, and we also will go out to parks or for lunch together. I am always with the girls so I get creative with how to spend one on one time with each daughter. Then on the weekends, I have my husband take my older daughter with him if he goes out so I can reconnect with baby! Stella and I love to play in her room–cooking and picnics, of course. 😉 Wyatt is all about playing outside in the water hose! And they love our park picnics! My husband has one-on-one time with one kid and I have it with the other. We reverse the next day. We have a schedule that we follow that allows for one on one time whether it be reading or playing games together. We love to go to the mall and have play dates. Our one and one time is usually before bed. Reading a book or two and some cuddles. Love Carters clothes for both my three year old son and 15 mth old daughter. 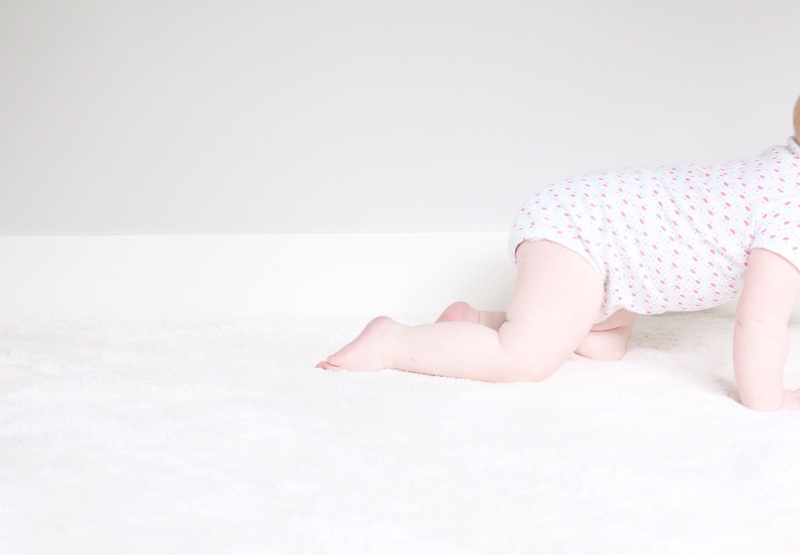 We love Carter's – seriously the best clothes for babes and toddlers! I only have one so that makes it easy!! I work part time so I'm lucky I have time to spend with my daughter. I try to plan fun stuff at least once or twice a week! Absolutely love Carters for both my boys! Love Carters! I make time with my little boy by going on weekly dates. It is usally something small like going for froyo but it is a lot of fun. Happy birthday to your little one! It can be hard to make time for your kids separately but I let my daughter stay up late sometimes so we can get some 1 on 1 time together. My son loves to be read to, so we have a rest time in the afternoon when I read books to him. My special one on one time are trips to the beach with a picnic lunch! I love Carters zip up pjs for my boys, they hold up so well! I miss the little Carter's outfit's P wore as a baby!! I always get so nostaglic for them when I see them on my timehop!